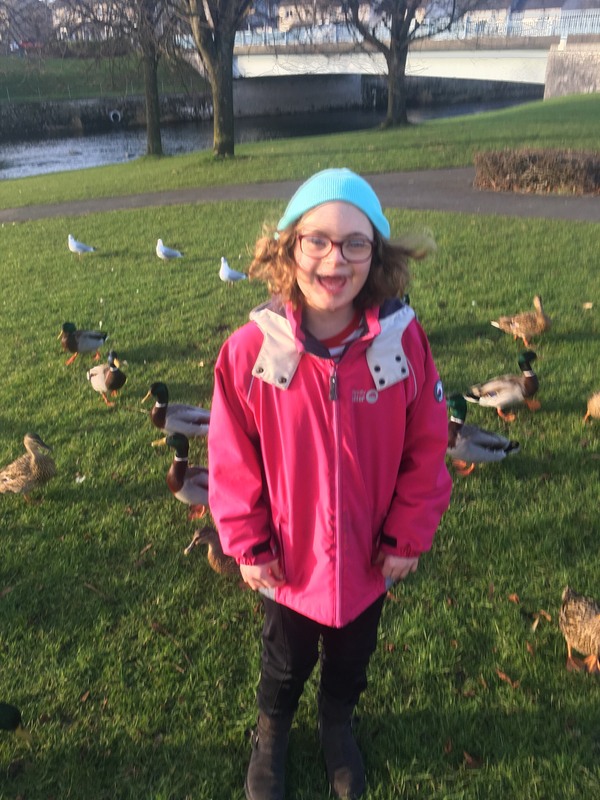 My 10 year old daughter Lucy has a dual diagnosis of Down’s syndrome and autism and when stressed, has behaviours that can be described as challenging. The ‘Leave No-one Behind’ theme for this year’s World Down Syndrome Day is most welcome. 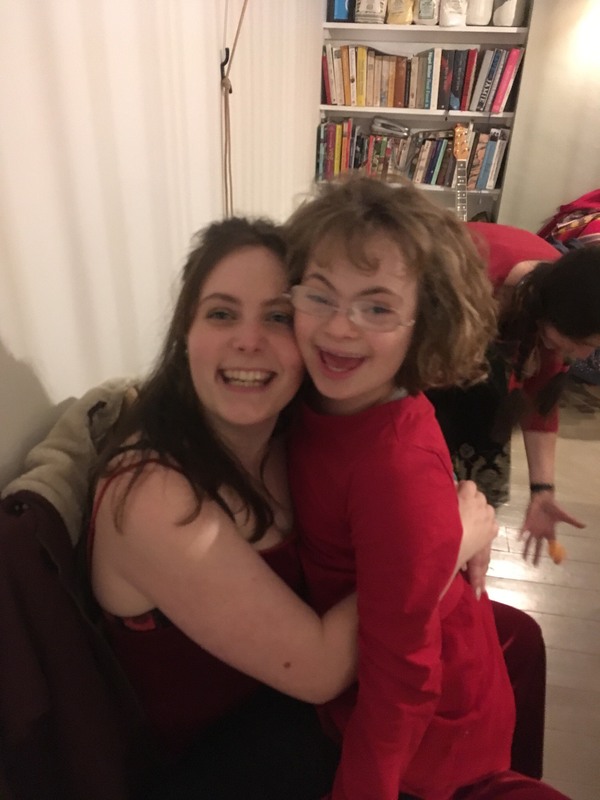 As the years go by and it becomes clear that autism is actually her primary need, it is easy to feel very different and distanced from the Down’s syndrome community. I welcome the opportunity to describe the differences an additional diagnosis can bring. The dual diagnosis brings strengths and challenges. Lucy’s strength is her memory. She can remember songs, words and many, many things. She also has perfect tuning when singing, can pitch any song, and never has a note out of place. Our biggest challenge as a family is that Lucy struggles socially, she wants social contact but it has to be in a way she can predict. This limits it to very familiar people who understand her social cues and social scripts; and to situations she understands. My biggest struggle is that I find myself craving social contact, but that provides a challenge to Lucy. I find myself thinking “who should we spend today with, what friends should I ring for a day out?” But in truth Lucy is happiest when it’s just us and it’s easiest when I can give her my full attention and respond to her needs without having to think of others. I have to remind myself that the local family event or friend’s party will not be fun for her. I have taken her to many, but have learnt that to be successful I either need to take a carer – if there is someone available – or simply not go, as the stress it causes can often lead her to use behaviours that both she and I would prefer she didn’t have to. I watch other families who have children that need activities to be differentiated and/or reasonable adjustments made to give them access and the contrast to our situation is stark. Lucy doesn’t want to be there at all. It’s all too easy to feel isolated and left behind. By the same measure I am sure there are families who see the things we are able to do, and feel left behind too. My daughter is a joy and a delight, but as her family we need good social support to ensure we can meet her needs. Our community has two jobs to do. 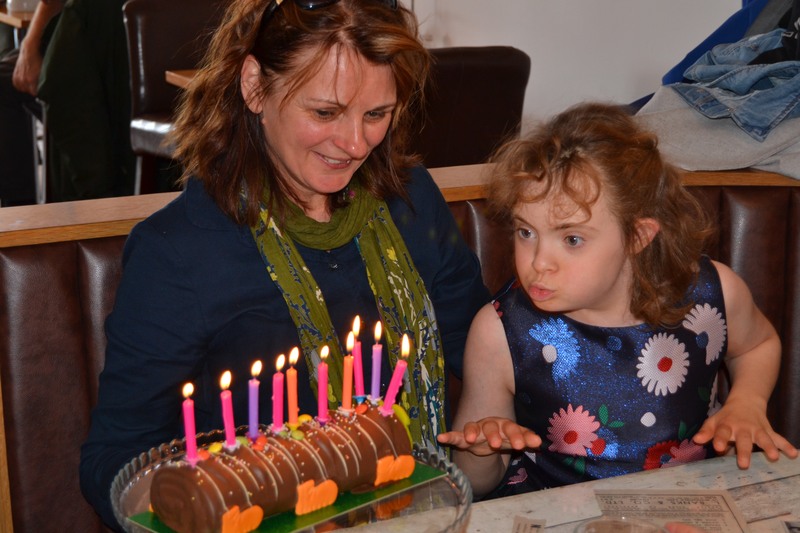 To support and to educate; however we don’t tend to access the support in terms of events organised for children with Down’s syndrome as they are too socially challenging for Lucy. We could do it with a carer, but our precious respite hours are saved to give my husband and I some time together. If I had time, I would have liked to represent our experience visually. If a circle were drawn with every activity shown that most children with Down’ syndrome can access or enjoy when reasonable adjustments are made and access is supported, and a second circle with activities that my daughter and many with complex needs can enjoy, I think the inevitable difference in the size of the circles would be a very clear way of explaining the differences in our experience. Thank you to Debbie for writing this piece. If you would like to find out more about dual diagnosis, please click here.